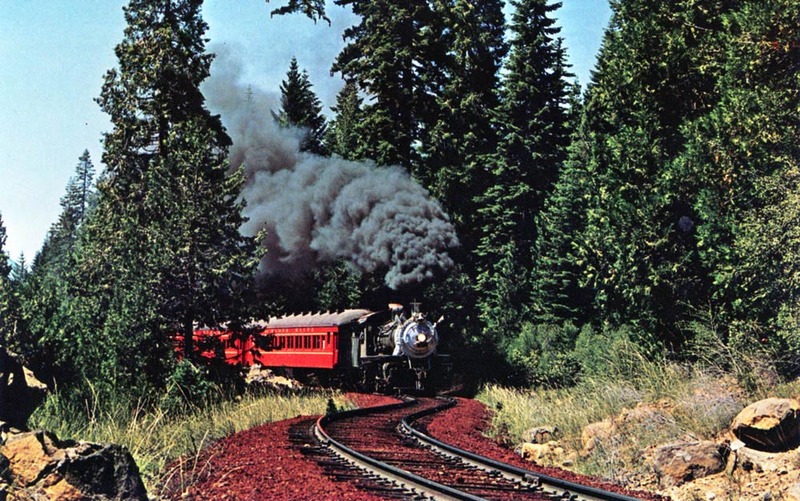 Most excursions operated over the McCloud River Railroad following the 1963 restoration of the #25 were either once a year charters or other special events. 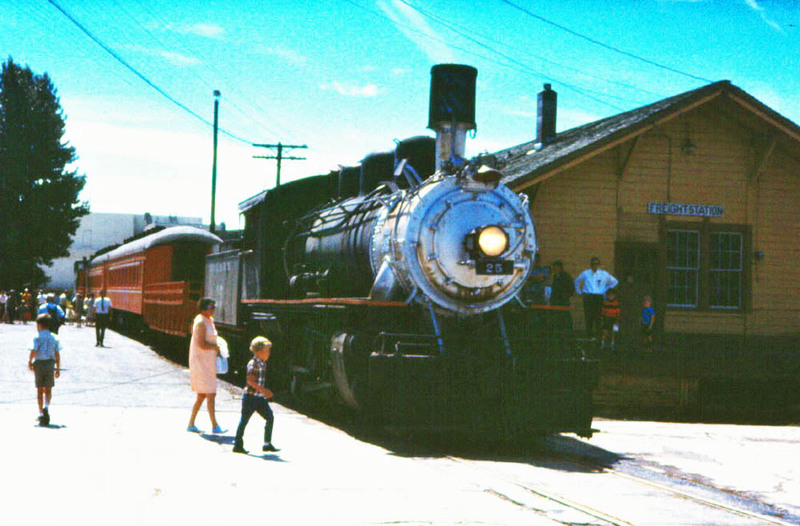 The first attempt at a regular scheduled passenger excursion operation came in 1964 when an organization calling itself the Mt. Shasta Alpine Scenic Railroad leased the #25 and its passenger train. The operation failed. The next and final attempt faired much better than the Mt. Shasta Alpine Scenic. A group of 16 railfans lead by Richard Lohse formed the Shasta Huffen Puff. 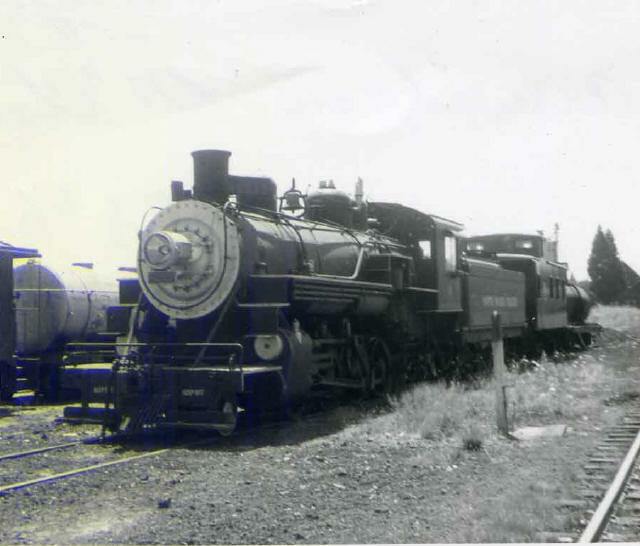 The group wanted a locomotive of their own, and in short order they had one in the form of Santa Maria Valley 2-8-2 #21. 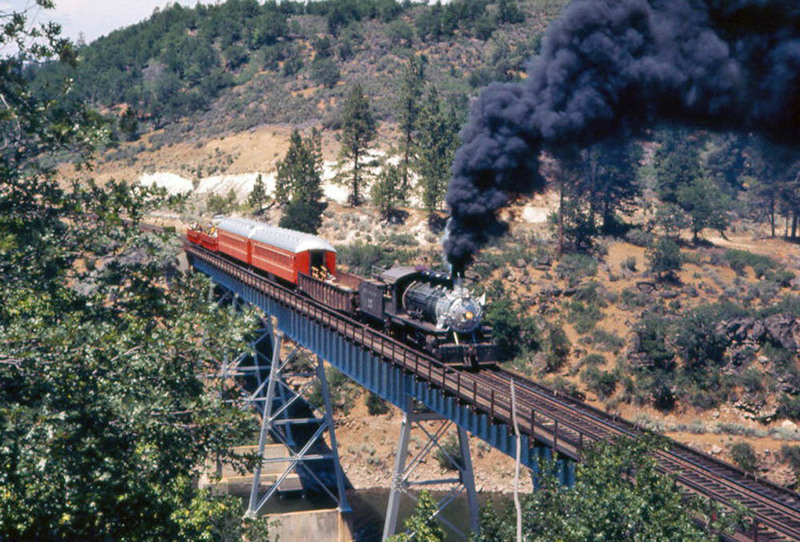 The McCloud River Railroad was willing to host the operation, and the #21 moved north from its home in the agricultural flatlands. However, a mechanical evaluation of the #21 after arrival in McCloud turned up many problems with the machine, and the costs of putting it back in operation exceeded what the group could afford. The McCloud River then offered to lease the #25 and the train set to the group, and a deal was made. The new operation ran a few times in late 1967 and then every weekend through 1971. Normal operations saw two round trips per day between McCloud and Mt. Shasta City. The company also operated specials during other times of the year, such as winter snow specials. However, the operation never was a financial success, and rising insurance and operating costs forced the Huffenpuff to suspend operations after the 1971 season. The #25 continued to operate for another four years before going back into storage. The #21 eventually left McCloud and is now in Astoria, OR. 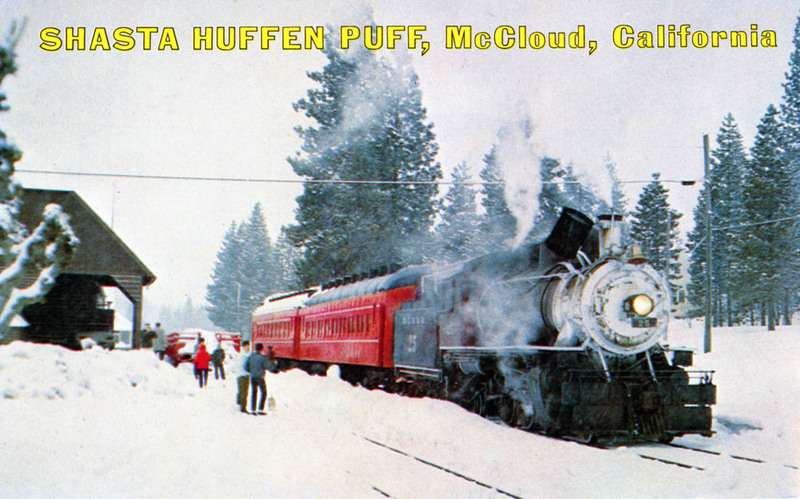 A Shasta Huffenpuff promotional postcard featuring the #25 at the McCloud depot preparing for a winter trip. Another promotional Shasta Huffenpuff postcard. A Huffenpuff train at the Mt. Shasta City depot. Photo by and courtesy of Ron Abrahamson. A special trip to Burney on another day is seen here crossing the Lake Britton Bridge. Photo by and courtesy of Ron Abrahamson. Ex-Santa Maria Valley #21 in the McCloud yard. Photo by and courtesy of Dennis Sullivan.